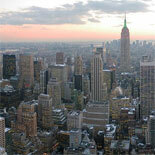 Let Go Airlink Shuttle de-stress your New York City visit! They provide dependable, economical and safe share-ride shuttle service door-to-door in each direction between Manhattan and Newark Airport. 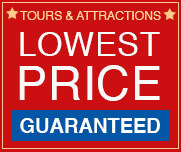 Frequent, dependable and economical service. Go Airlink Shuttle serves hotels, neighborhoods, major transportation terminals and corporate offices with a large fleet of modern, comfortable vans and at prices substantially lower than taxi fares. When you arrive at the airport, simply proceed to the Ground Transportation Desk in your arriving terminal and present your eTicket voucher to the Go Airlink Shuttle attendant. Go Airlink Shuttle provides customer assistance at the Ground Transportation Desk in every terminal and FREE courtesy phones in the baggage claim area. 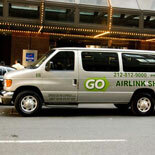 Go Airlink Shuttle is a member of the New York Airport Service group, with nearly 25 years' experience in individual and group ground transportation and tour services in greater New York City. They are committed to top-quality service and customer satisfaction. They are the only company authorized to provide both scheduled bus and share-ride airport van transfers under operating permits issued by the Port Authority of New York & New Jersey. Get your eTicket today and let Go Airlink Shuttle show you how their superb service can de-stress your New York visit and save you money at the same time! Newark Airport to Hotels in Manhattan now operates 24 hours a day, seven days a week. Shuttle service is provided for hotels between Battery Park and 125th Street in Manhattan. Ground Transportation Desk in your arriving terminal. Present voucher to the agent at the desk. If agent not available, please use phone at nearby transportation phone bank and dial #18 for Airlink NY. Individual vouchers needed for roundtrip. On arrival please proceed to the Ground Transportation Desk in your arriving terminal and present voucher to the agent at the desk for transfer assistance. If agent not available, please use phone at nearby transportation phone bank and dial #18 for Airlink NY. 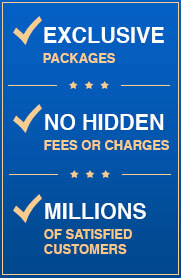 Please call customer service 212-812-9000 for more information about hotels available for pick up. To maintain schedules, drivers do not wait for passengers who are not present at reservation time and pickup location. Passengers should present vouchers to driver at time of pickup. Please advise the reservationists that you already have a ticket. Reservation can be canceled up to 4 hr prior to pickup time for refund. Baggage Allowance: One suitcase and one small carry-on per person.